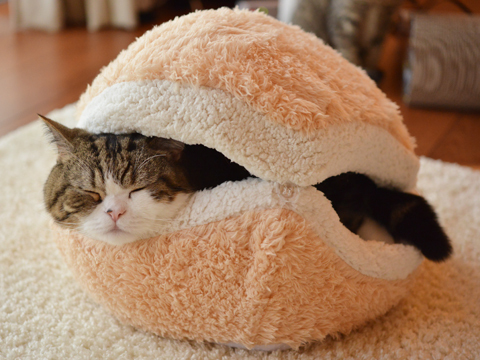 It is a known fact that felines love tight spaces, and for that reason, we are pretty sure your pet cat will enjoy this comfy ‘macaron’ bed. 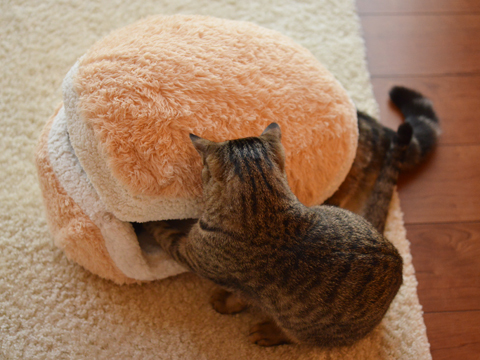 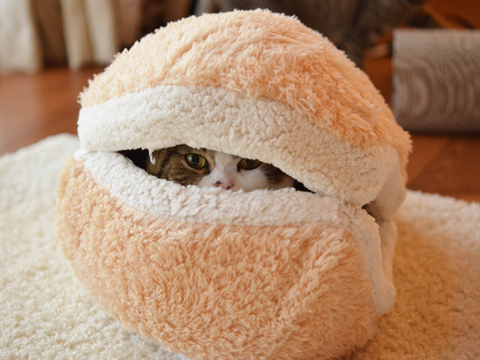 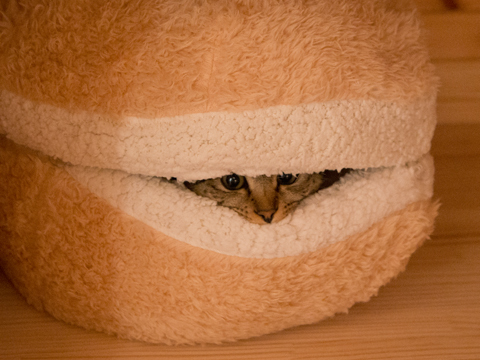 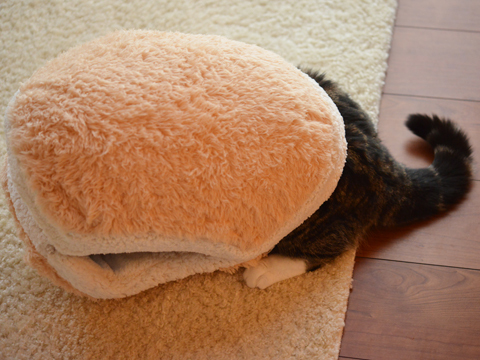 Available on Amazon Japan, this humorous, plush bed has been ‘reviewed’ by popular internet cats Maru and Hana, and they have given it their ‘paw’ of approval. 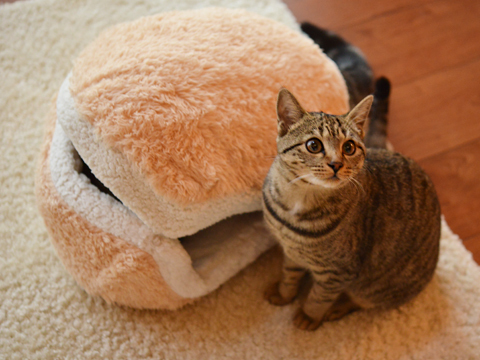 Check out some adorable photos below, and be sure to watch the video of Maru and Hana playing with the bed.